California’s labor commission is asking a federal court to reverse a decision from the Federal Motor Carrier Safety Administration (FMCSA) that the state’s meal and rest-break rules cannot be enforced on interstate truck drivers. California Attorney General Xavier Becerra and the California Labor Commissioner’s Office filed a petition with the U.S. Court of Appeals for the Ninth Circuit on Wednesday, February 6. The petition asks the court to review and reverse a December 2018 decision from the FMCSA that rest-break requirements under the California Labor Code are a burden on interstate commerce and don’t improve safety, so interstate truck drivers do not have to follow them. In California, workers are generally entitled to a 30-minute meal break for shifts of five hours or more and a 10-minute break per four hours of work. 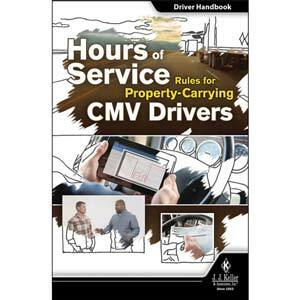 The FMCSA determined that these rules are “preempted” under federal law, meaning the state cannot enforce them on any property-carrying commercial motor vehicle drivers covered by federal hours-of-service rules. In September 2018, California’s break requirements for drivers transporting hazardous materials were preempted by the Pipeline and Hazardous Materials Safety Administration, which ruled that they conflict with hazmat attendance requirements.